Dave is Sierra Paragliding’s founder and head instructor; Dave has lived in the Sierra for almost his entire life. He currently resides in Bishop with his wife Tawny Thomas and dog Inyo. He is certified as both a Paragliding Instructor and as a Tandem Paragliding Instructor. Dave is the guy to call if you are looking to fly the Owens valley. Dave worked for Eagle in Santa Barbara the winter and spring of 2013/2014. He was a huge presence in Santa Barbara, and the local pilot community was sad to see him go. He left Santa Barbara and did a vol-biv trip north. 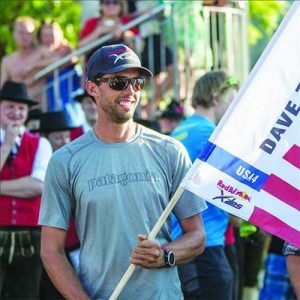 He was awarded a wild card entry in the 2015 Red Bull X-alps. Dave is a world class climber as well. Dave made huge contributions as a guide on our Colombia tours, and we look forward to having Dave in Colombia every year. Skills – Pilot Certification, Acro, Cross Country, Tandem Instruction, Tour Guiding, XC Instructor, Reserve Repacks, Vol-Biv.